As with most other healthcare jobs, the outlook for pharmacy technicians is closely linked with the aging population and developing technology. The continuous rise in the middle-aged and senior population along with new FDA-approved medications contribute to the positive outlook for qualified and trained pharmacy technicians. The Bureau of Labor Statistics predicts a 25% rise in demands for Pharmacy Technicians by 2018, especially for those with formal training and certification. If you’re thinking about a career in healthcare, but don’t want to spend years in school, a career as a pharmacy technician could be an excellent option. As a technician, you’ll assist pharmacists with dispensing medications and other products to patients. The Maine Board of Pharmacy oversees the licensure of the state’s pharmacy technicians and ensures that candidates have the tools to provide quality service to the general public. Maine’s pharmacy technicians must register with the Board of Pharmacy before providing services at licensed pharmacies. You must submit an application along with the required documents and wait until the Board approves the application and updates your status from Pending to Active before you can begin working. The Board can refuse to grant a license to anyone who received disciplinary action in another state or have a drug-related conviction. Maine recognizes pharmacy technicians who receive national certification through the Pharmacy Technician Certification Board, PTCB. However, you don’t need to obtain national certification in order to register or work in Maine. There are some distinct advantages for employers and employees when pharmacy technicians earn the PT advanced designation. Pharmacists are more likely to hire a pharmacy technician with PTCB certification because a pharmacist can supervise more technicians when there’s at least one with advanced status. The Board of Pharmacy requires Advanced Pharmacy Technicians to provide proof of PTCB certification. After receiving your license to work, you must report your employment, changes of work site and termination to the Board within 30 days of each change. You can send notifications to the Board via letter, fax or email. Applicants must be at least 18 years old to register as a pharmacy technician in Maine. Pharmacy technicians and advanced pharmacy technicians in Maine must possess a high school diploma or GED equivalent to register with the Board. Include a copy of your high school transcript indicating your graduation date or a certified copy of your GED transcript with the completed application. According to State of Maine law, the Board must take an applicant’s criminal history record into consideration when processing a professional license. Therefore, the Board will require a criminal background check as part of the application process for all applicants. You must respond truthfully to the criminal disclosure questions on the application form and provide supporting court documents for each conviction. You will also need to disclose your Social Security number for tax administration purposes. ASHP, Amercian Society of Health-System Pharmacists, accredited programs provide students with a complete, formal education that prepares them for their supporting role alongside pharmacists. The program content targets those with and without experience in the field of pharmacy. In-depth instruction covers key skills that prepare graduates for job-related tasks, such as creating prescription labels, maintain patient records and confidentiality, preparing medications to dispense, counting, measuring and bottling tablets and verifying prescription requests. The programs contain an experiential component that gives students the opportunity to work alongside pharmacists and other employees to hone their skills. In order to get the best value for money, you should enroll in ASHP-accredited programs, which receive nationwide recognition. 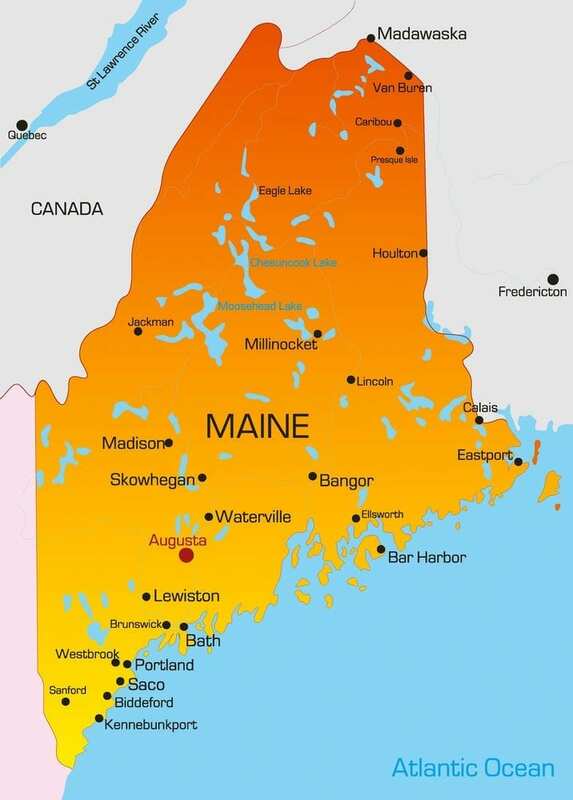 The cost of tuition at ASHP accredited pharmacy technician programs in Maine is approximately $4,800. In addition to tuition costs, you should allocate funds for textbooks, workbooks, state registration, insurance, background check, immunization, uniform, and other expenses. Financial aid may be available through government grants, scholarships, and private loans. The duration of the training ranges from 3 to 6 months for full-time students and 6 to 12 months for part-time students. 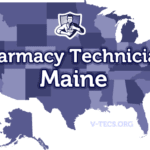 Pharmacy technicians applying for advanced pharmacy technician registration in Maine must acquire national certification by the Pharmacy Technician Certification Board (PTCB). 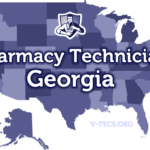 The Pharmacy Board bears the responsibility of developing and maintaining the Pharmacy Technician Certification Examination (PTCE), which is recognized by most states and employers. Successful completion of the PTCE not only improves your employment prospects, but also gives you the CPhT designation. In order to apply for the 90-question, multiple-choice exam, you must possess a high school diploma – this is the minimum education requirement. You should also have no criminal convictions in your past as well as no denial or suspension of a pharmacy technician license in any state. The PTCB prefers online application for testing. If you’re unable to use the online submission, you must send a written note to the Board, explaining your circumstances, and they will consider your request for a paper submission. When the Board approves your application, you can schedule a date to take the exam at a testing center of your choice – you must schedule within 90-days of the Board’s approval. The Board will not process your application until you submit all the required documents and fees with your completed application. You must mail the form to the mailing address provided below. The Board will not accept a faxed application form and documents. Follow the steps below to submit your application to the Board. Download and fill out the individual license application. Provide honest answers to the criminal background disclosure questions. Include a check payable to the Maine Board of Pharmacy in the amount of $41. You can also include your credit card information if you prefer to use your Visa or MasterCard. Sign, date and initial all pages where indicated. Attach copies of your transcripts to the application. Provide copies of your social security card and Drivers’ License. Mail the application to the address provided below. Check online to follow up on your application status. The Board will post real-time updates of any actions taken when processing your application. Once approved, your license will have an “active” status, and you may print a copy of your license online. Note: The Board will terminate any applications that remain in an incomplete status for more than 60 days. Maine requires pharmacy technicians to renew their license annually by the December 31st. There’s no cost to renew the license if you renew on time. However, the Board will assess a $50 late fee for renewal requests made after the expiration date – up to 90 days after expiration. If you fail to renew your license within 90 days after expiration, you will need to fulfill all the requirements governing new applications, which means submitting a new request along with the required documents and fees. 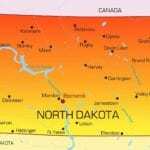 It is essential that you notify the Board of address changes within 10 days. The Board will mail the renewal reminder up to 60 days prior to your license expiration date. Use the online portal to renew your license online. Contact the Board of Pharmacy (or other governing body) to obtain an official License Verification. The verification form should include the state of licensure, pharmacy technician’s name, type of license, license number, date of issue, the status of the license, method of issue, examinations, disciplinary actions (if any), state seal, and signature and title of a representative at the licensing authority. Direct the Board of the Pharmacy to send the license verification to you and attach the report to a completed application for registration. Include the $41 fee for processing the application and criminal background check.